On trend and fashionable, natural grasses continue to grow in popularity and remain a popular request by customers. In addition to being perfect when used for area rugs or wall to wall flooring in smaller width rooms, natural grasses can also be customized to fit around fireplaces, stairs, landing areas, door jams and unusually shaped rooms. We continually update our collection of natural grasses and fibers. Stop by our Houston showroom to view the latest additions! The inherent beauty of wool is that it offers fashionable colors, luxury patterns, exceptional softness and durability for a look that lasts. Wool is a natural textile fiber that comes from sheep - the sheep are sheered and the wool is treated and processed into yarn. It is a completely renewable resource and, when it is time to discard the carpet, it is biodegradable and will not hurt the environment. For long-lasting fashion, beauty and performance, wool is the lowest cost and highest value fiber over the long run. 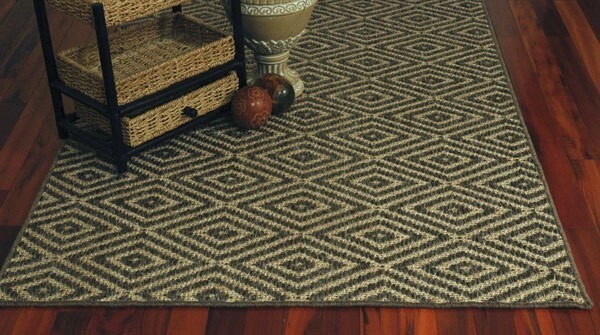 Today, with the introduction of higher-end nylon carpet, upgrading to wool is not such a huge move. When these features are important, price is secondary. Easy to Clean. Natural resilience to dirt and soiling makes wool exceptionally easy to maintain. Non-Allergenic. Wool is a non-allergenic fiber and does not promote the growth of bacteria or dust mites, or give off harmful emissions. Strong and Durable. Patented woven technology ensures wool is incredibly durable and strong, creating products that last. Crush Resistant. Natural crimp gives wool a built-in resilience to crushing. Furniture marks disappear when the fiber is gently moistened and allowed to recover naturally. Inherently Fire Safe. Naturally flame retardant, wool is difficult to ignite, does not melt, and is self-extinguishable. Resistant to Static.No static electricity build-up. Comfortable. Inherent bulk and resilience gives wool superior sound and heat insulating properties.